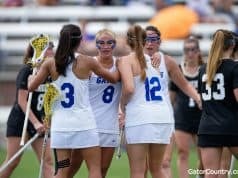 The Florida Gators will finish up a three-game home stand to open the season on Saturday afternoon when they take on Colorado State in the Swamp. 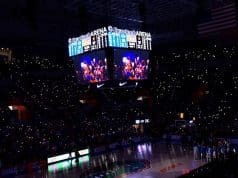 This will give the Gators coaching staff another chance to host prospects on campus for unofficial visits after they’ve two really good weekend’s of visitors the last two weeks. This weekend’s visitors list isn’t as big but that can be expected due to the opponent and the two previous game’s list. Here’s this week’s Florida Gators vistiors list preview. This weekend’s visitors list is full of Florida commits visiting Gainesville to watch their future team in action. Leading the charge is linebacker commit Diwun Black who has said he plans to be in the Swamp for every home game this year and so far he has done just that. 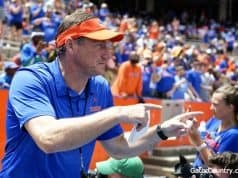 Black has been the Gators biggest recruiter in the class. 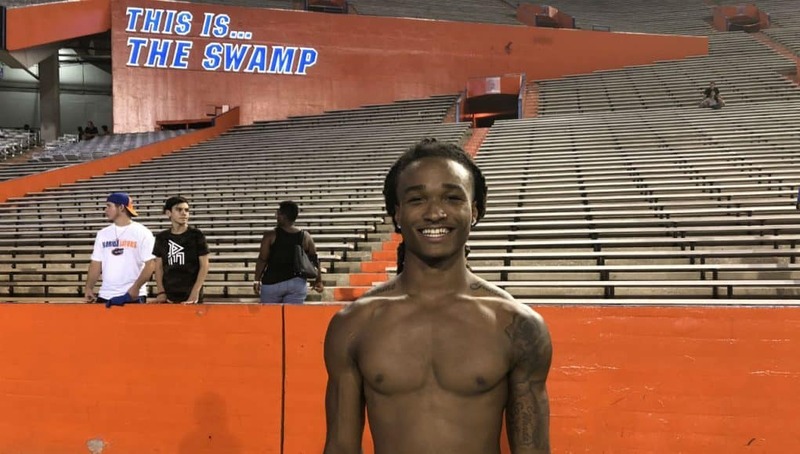 Joining Black in the Swamp on Saturday for the first since he committed is cornerback Jaydon Hill who committed to Florida over Tennessee earlier this month. Hill who says he still make take some visits hasn’t seen a game in the Swamp yet but Saturday will change that. Making the short drive across town to visit is athlete Trent Whittemore who will be in the Swamp for the second straight week. Receiver Dionte Marks will make his first trip to Gainesville this fall for a game. Marks is having a really good start to his senior year. Joining those guys is expected to be offensive lineman Ethan White who was also in town last weekend. Two of the Gators 2020 commits will also be in town on Saturday and leading the way is 2020 quarterback commit Anthony Richardson who was in the Swamp for the first game of the year. 2020 defensive end commit Josh Griffis is also expected to make the drive up from IMG on Saturday afternoon to watch the game. Right just one non commit is expected to be in the Swamp on Saturday and it’s 2020 defensive tackle Jerzhan Newton (6-3, 230, Clearwater, FL. Central Catholic) who will be making his first trip to the Swamp this fall. Florida has already offered Newton and are sitting in good shape for the 2020 defensive tackle.